It provides access to life saving information. If you were in an emergency situation and found unconscious, your Health Care Card will provide access to life-saving information to first responders, such as paramedics, firefighters, and police officers, as well as hospital personnel. To implement the correct care, doctors must know exactly what condition they are dealing with. If a patient has a Health Care Card, doctors can quickly use the card to check the online profile in order to deliver the care required. The card will enable access to all important health related information, including recent surgeries or other medical interventions, medical implants and previous hospitalizations. For parents (or next of kin), the Health Care Card is a very useful tool to ensure that they are contacted right away if something happens to one of their children. 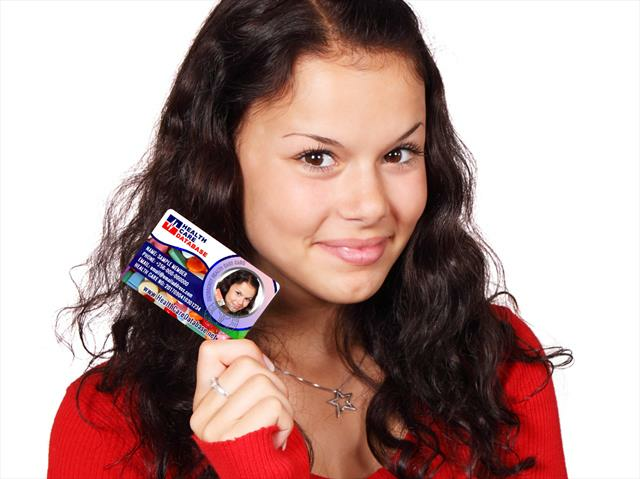 therefore all your children or family members and other people you care about should carry a Health Care Card to ensure that you are the first persson to know when anything happens. If you have a severe or life-threatening allergy, the Health Care Card increases the chances that your condition will be diagnosed and treated quickly. Equally important is that a list of your current medicines will be accessible, this helps to avoid a situation where current medication could possibly interact adversely with other medications that an emergency physician might use to treat you. Doctors need to know precisely what treatments are compatible with the patient’s pre-existing conditions, whether the drugs they need to administer will interfere with the patient's current medication, and what preparations they must make before the patient can be treated. Maybe the patient has a rare blood type, in which case the doctor must quickly ascertain which blood type is required for a successful transfusion. Or maybe the patient suffers from a condition that makes some drugs ineffectual or even dangerous. Doctors and healthcare professionals need to know this information, and delivering the information using a Health Care Card could save the patient’s life. Your Profile will be securely stored online and thus it can be updated or managed from any medical facility in any location, you will be assigned a Health Care Number that you can give to a Doctor, Hospital, Ophthalmologist, Dentist, or Medical Professional for access anywhere in the world. Paramedics and doctors are trained to look for medical IDs. The symbol found on every Health Care Card is the universal medical identification symbol. 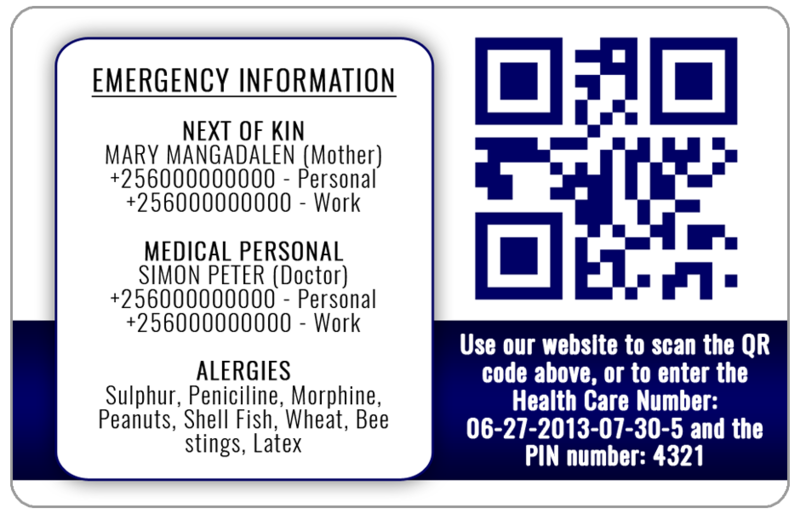 The QR code or the instructions printed on each card lets emergency responders know how to access your information. Always having your Health Care Card with you is an excellent way to expedite treatment and avoid misdiagnosis during an emergency. Always carry your Health Care Card. Unforeseen problems befall us all at some time in life and you should be prepared for it, "Have your vital information with you at ALL TIMES".